Rare Eclipse: Super Blood Wolf Moon! On January 20th/21st, 2019, a very special celestial event happened in our skies. A Super, Blood, and Wolf Moon. A Supermoon is when the moon is closest to the Earth, when it can look up to 35% bigger. 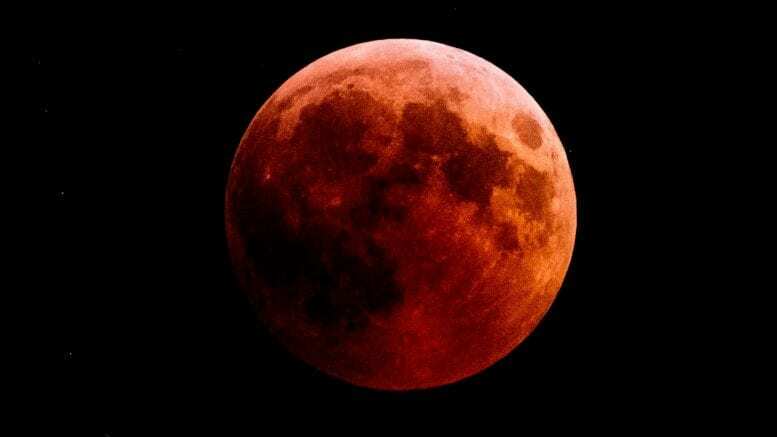 A Blood Moon is when the Moon is perfectly in the shadow of the Earth, which causes the light from the sun to be filtered through our atmosphere, which makes the Moon look bright red. 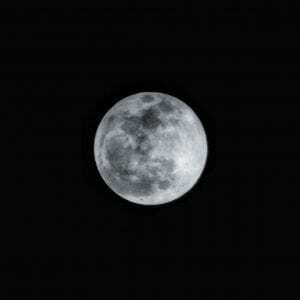 A Wolf Moon is the first full moon in a year. This event is very special because every one of these events happened at the same time. The first Full Moon of 2019, lining up perfectly with the shadow of the Earth, coming closest to the Earth in its orbit. This is a Lunar Eclipse, very different from the well known Solar Eclipse. A Lunar Eclipse is when the Earth is in between the moon and the Sun, the moon is in the Earth’s shadow, behind it. A Solar Eclipse is when the Earth is behind the moon and the moon is blocking the Sun, making part of the Earth dark as though it is night. The next Blood Moon to be visible from the USA will be in 2022. Moon, before the event began, taken by Konrad Smith ’23.